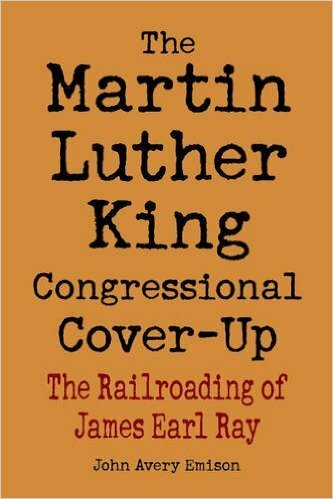 John Avery Emison’s The Martin Luther King Congressional Cover-Up is an interesting effort. But it has a somewhat misleading title. From that title, the reader would think that Emison was going to primarily focus on the House Select Committee on Assassinations inquiry into the King assassination. That is not really the case. The author spends more time on the local forces in Memphis who railroaded Ray and also on Ray’s unfortunate choice of Percy Foreman as attorney. He does deal with the HSCA inquiry, but this is later in the book. One of the first elements of the King case that the author deals with is the racist factor. The authors who have done so much to frame Ray, for example George McMillan, have used that aspect to try and supply a motive to Ray’s alleged crime. As Emison notes, Ray was not a southerner. He was born in Illinois. (p. 25) If one goes through his military records and prison records, there are no credible indications that Ray was a racist. As for his life in crime, all the indications are that he was an inept, small-time criminal, one who was rather easy to capture by the police. But, after the murder of King, this was drastically altered. As the author notes, “Yet, for two months following King’s murder, Ray—a man who had never before flown a commercial airline—eluded the biggest manhunt in the history of the United States…" (ibid) Hiding out in such locales as Canada, England, and Portugal. Once captured at Heathrow Airport in London, he was sent back to Memphis, the scene of King’s murder. But Battle then also asked the reporter: How was it possible for Ray to escape from Memphis to Atlanta even though there was an APB out for him and his car? Which was an easy to identify white Mustang? (p. 27) As the author notes, Battle died about three weeks after the interview. At his desk when he passed away were letters from Ray requesting a new trial, which Battle was about to grant. Only one other person in officialdom showed any doubts about the case. 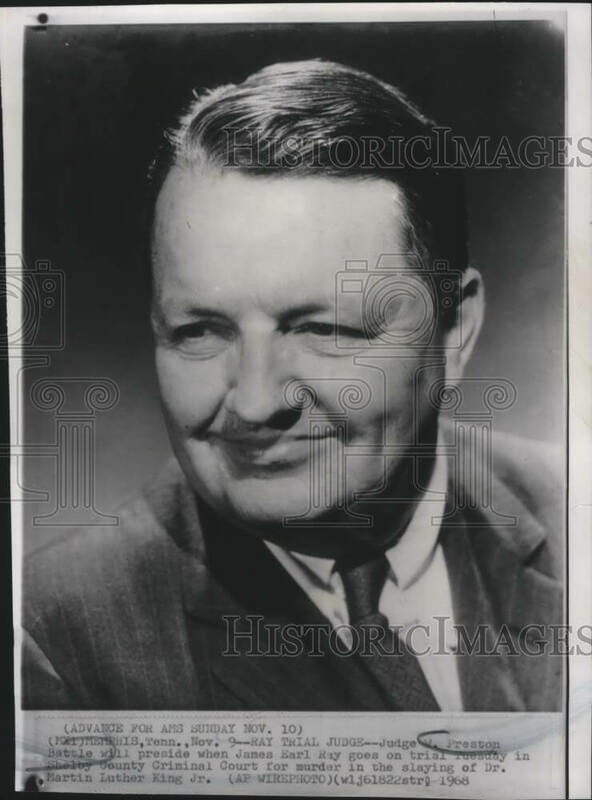 That was Harry S. Avery of the Tennessee Commission of Corrections. But when Avery spoke of the possibility of a conspiracy, the governor, Buford Ellington, removed him from office. (p. 29) And this rather untoward behavior continued up until Ray’s death, when Governor Sundquist refused to grant his cooperation in a private effort for a liver transplant to keep Ray alive. He therefore died in 1998, as his lawyer William Pepper was trying to get a new trial for his client. John Avery Emison was related to the late Harry Avery. Which inspired his interest in the case and his subsequent interviews with Ray. Ray told the author what he has told everyone else. He purchased the alleged murder rifle, a Remington Game Master 760, while he was under the control of a man named Raoul. He had met Raoul in Ontario, Canada in the summer of 1967. He then went to work for him as a well-paid courier. To do so, Raoul bought him his one-year-old Mustang. (p. 41) Raoul paid for the Game Master rifle and Ray gave it to him the night before King was shot. 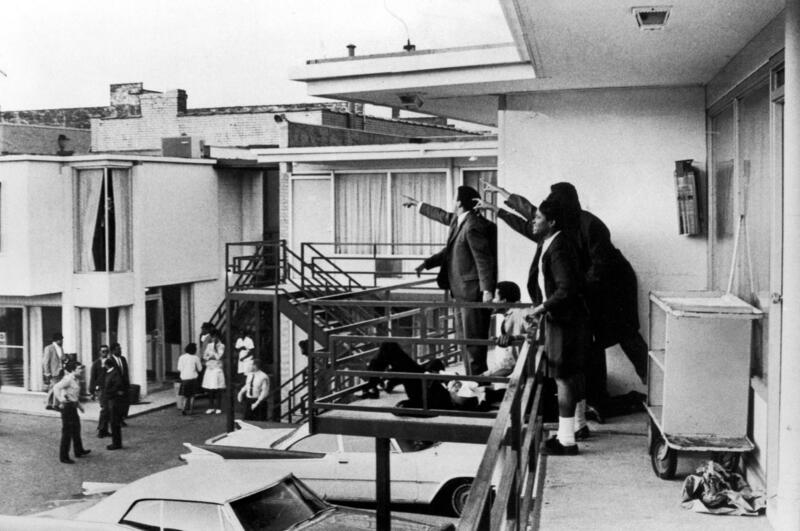 Ray had checked into the boarding house on the afternoon of April 4, 1968, the day of the assassination. He used an assumed name, that of John Willard. Although the local authorities say that there was a chip in the window sill where the assassin laid his rifle, the FBI said such was not the case. (p. 43) Two witnesses reportedly saw a man move from the vicinity of the entrance to the communal bathroom. But neither one, Willie Anschutz nor Charlie Stephens, could make a positive identification. And Stephens was, by all accounts, stone drunk at the time. (ibid) This is what Stephens said the evening of the murder. He later changed his story. These last two movements create serious problems for the official story. Because although neither Anschutz nor Stephens could make a positive ID, a woman with Stephens, Grace Walden, said the man was not Ray. (p. 45) Both Walden, and another witness that Arthur Hanes (Ray’s first lawyer) secured, said the man they saw was short and wearing an army jacket. Neither of which fit the description of James Earl Ray. But further, when Hanes got the inventory of what the FBI found in Ray’s abandoned Mustang in Atlanta, it contained a small army jacket. (ibid) Hanes called this an “electrifying" piece of evidence. He thought it indicated that Raoul took the shot, because Ray could not fit into the jacket. The other problem was that the owner of the amusement company, Guy Canipe, was ready to testify that the bundle with Ray’s things was dropped a few minutes before the shot rang out. Hanes told the author that with these two pieces of evidence, he was confident that the defense could stymie the prosecution’s case. Hanes was ready for a full trial, and expected an acquittal. (p. 46) He even advised Ray to refuse a plea bargain that would have sent him to prison for a maximum of 13 years. Which was a much better deal than the one Foreman got for Ray. Confounding the prosecution even more was the ballistics evidence. This came as a result of tests performed by the FBI. The death slug could have come from the Game Master, but its deformation and absence of clear-cut markings precluded a positive identification. The death slug could not be metallurgically matched to the other Remington Peters rounds. (p. 47) Further, in the bundle, there were rifle rounds that Ray did not purchase at Aeromarine Supply Company in Birmingham, where he purchased the rifle. The HSCA concluded that the cartridge found in the weapon was the only cartridge in the magazine. Which indicates that whoever loaded the rifle was supremely confident in his marksmanship abilities. And no one has ever stated that Ray was a fine marksman. Ray’s fingerprints were not found in the bathroom. And his room did not have a proper line of sight to King’s room at the Lorraine. (p. 66) Considering all the acrobatics that Ray would have had to perform to shoot at King from the rim of a bathtub, it’s hard to buy this as part of a genuine case. 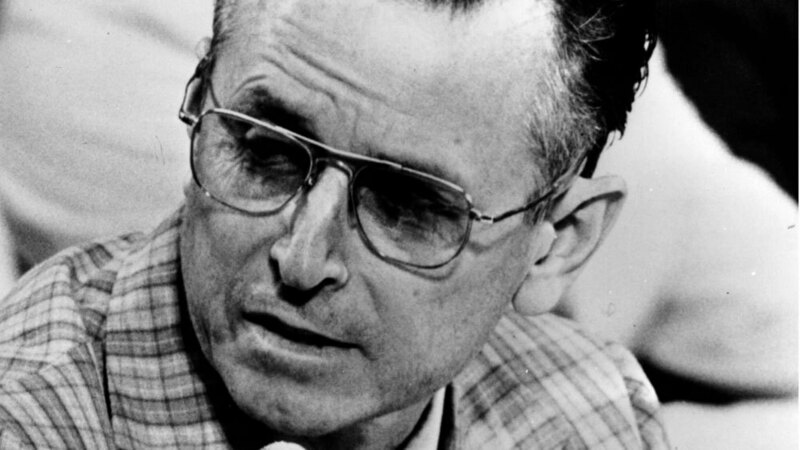 None of the authors who have written books to convict James Earl Ray—William Bradford Huie, George McMillan, Gerald Posner, and Hampton Sides—ever met James Earl Ray. (p. 69) Which allows them to make some rather bizarre and unfounded assumptions. For instance, McMillan wrote that after Ray escaped from prison in 1967, he tried to recruit his two brothers—John and Jerry—into a plot to kill King. (p. 71) They refused and therefore Ray proceeded on his own. This makes the timeline about ten months before the assassination. McMillan makes no allowances for how Ray got the money to do his rather extensive traveling from Canada to Mexico to Los Angeles at this time. Hampton Sides promotes the HSCA theory that Ray heard about an offer from a racist group in St. Louis, which put a fifty thousand dollar bounty on King’s head. But again, Sides makes for no allowances about how Ray lived prior to this, how he could prove that he had killed King to the promoters, or how he could have either found out about the bounty, or collected from the proper people. (p. 72) But further, the FBI did interviews with several wardens and inmates and there were no indications that Ray was a racist, or knew about this offer. Or that Ray ever caused any disturbances in prison. (pp. 73, 84, 88) But McMillan tried to fabricate stories that showed he was. The author does a nice job showing these are false. Another connection concerns William Bradford Huie. Huie went to Arthur Hanes because he wanted the rights to Ray’s story. These were granted since Huie’s name guaranteed a sale of essays and a book, which would help finance Ray’s defense. And at first, Huie wrote a couple of fairly sympathetic essays in Look. But this changed later with both the third installment and his 1970 book, He Slew the Dreamer. In these Ray went from Ray as part of a plot, to Ray as lone gunman. This may or may not be true. But another way to explain Huie’s behavior is the fact that Ray changed attorneys. He went from Arthur Hanes, a man who was going to defend him as an innocent victim, to Percy Foreman, a man who did not defend him, and essentially sold him out. So as the defense attorneys changed, so did Huie’s agreement with them. There is little or no doubt that these two books and authors did much to poison the public’s attitude toward Ray. But it’s another matter to base your theory of the crime on Huie and McMillan. Of course, very little of this information was available at the time Ray was apprehended in London and returned to Memphis. 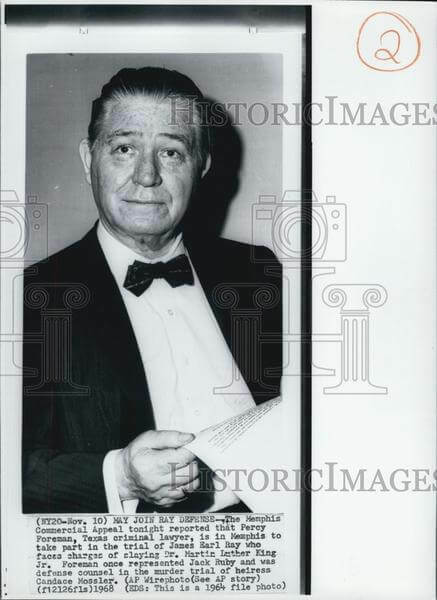 Even at that, for reasons noted above, Arthur Hanes Sr. was ready to go to trial. He was so confident he would win that he turned down a plea bargain deal. Which leaves the question: How then was Ray convicted? The answer to that question can be expressed in two words: Percy Foreman. The issue of how Foreman entered the King case has always been clouded . The main reason being that Foreman told many lies about it. Even when he was under oath before the HSCA. And either the HSCA did not do its homework on the issue, or they were not going to call him on it for the record. The facts indicate that Foreman did not enter the case in any way until November of 1968, about five months after he said he did. Emison states that the reason that the Ray brothers—John and Jerry—even thought of switching lawyers was simple. James wanted to take the stand in his own defense. Arthur Hanes strongly disagreed. Because of this dispute, the brothers now believed that William Bradford Huie was calling the shots, since he did not want James to testify either. (p. 148) This turned out to be a terrible miscalculation. The point is simple. Because Hanes was still the lawyer of record and the defendant had not solicited a change, then Foreman’s entry could be challenged as unethical, or even illegal. If that would have been established, then everything that Foreman did after could have been challenged in an effort to reopen the case. After Foreman took over, he briefly talked about how he would win an acquittal for his client. (p. 146) But that did not last long. Foreman had his client declared indigent so he could get help from the public defender’s office. But there really was not much point in this aid since Foreman changed his mind and decided not to put on a defense. Foreman’s deal with the DA was essentially a plea of guilty in return for the promise not to request the death penalty. And there is no doubt that Foreman used every unethical trick in the book to get James Earl Ray to go along with the plea bargain. He told his client the FBI would pick up his father on a probation violation unless he copped a plea. He told Jerry and John that unless there was a plea, the state would implicate them in a conspiracy with James to kill King. (p. 151) Foreman told his client that the state had bribed witnesses who would place him at the scene; he therefore faced electrocution. But that was not the worst of it. The day before the court proceeding, Foreman had sent out two letters. One was to James and one to Jerry. The latter contained a check for five hundred dollars. (The equivalent of about three grand today.) The letter to James was an adjustment in the Huie/Foreman royalty rate, which would allow James a share of the profits. These rewards were both contingent upon there being no unexpected stunts pulled during the court proceeding. (p. 153) Is there any way not to construe this as bribery? Battle: Has any pressure of any kind by anyone in any way been used on you to get you to plead guilty? Ray: Now, what did you say? Ray: No. No one in any way. Emison proves in a number of ways, including tape recordings of the hearing and the actual stenographer’s signed copy, that this second transcription is a forgery. In fact, he dedicates a large part of a chapter to proving this piece of fabrication. (See Chapter 7) And he blames Battle for accepting the plea without a full answer to his question about pressure. In fact, this may be the reason Battle had second thoughts about the case and was willing to give Ray a new trial. What makes it even worse is that the author states that, in the subsequent appeals by Ray’s lawyers, it is this false transcript that was used. (p. 176) Which is hard to believe since, once the page is blown up a bit, it strongly suggests the altered line was typed with a different typewriter. The HSCA also used this altered transcript. Emison closes the book with two interesting topics. The first concerns the mechanics behind Ray’s pleading. Harry Smith Avery, as a top official in the Corrections Department, interviewed Ray three times while in prison. He ordered his mail recorded and a log made of all incoming and outgoing letters. When Governor Buford Ellington was told about this effort to investigate the King case, he was not pleased. In fact, he ordered Avery to halt the attempt. 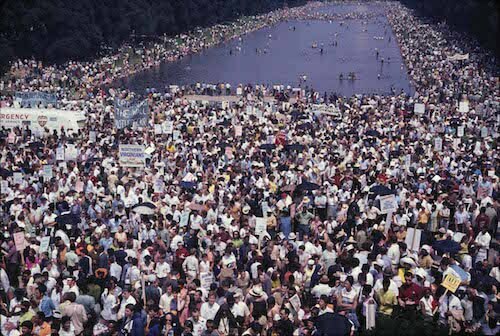 When he did not, he was eventually terminated in May of 1969. Later, when the HSCA began its inquiry, they paid Avery a visit. When he went to retrieve his files on the case, they had disappeared. The last major topic the author deals with is the amazing coincidence of the aliases Ray used in the last year of his life. These were Eric S. Galt, Ramon George Sneyd, Paul Bridgeman, and John Willard. None of the names was fabricated. They were all real people who Ray did not know. All four of them lived within a five-mile radius of each other in Toronto. And they all shared ages and physical attributes that were similar to Ray’s. Ray had been to Montreal once. But there is no recorded information he had been to Toronto prior to the assassination. The two names he used the most were Galt and Sneyd. The former alias was used in America the year before the assassination. The latter was used after the shooting, when Ray fled to Canada and then Europe. As the author notes, the excuses that writers like Gerald Posner and Huie use to explain away the above are ludicrous. How did these other people know 1.) Where Ray was staying, and 2.) The specific pseudonyms he was using. And to any objective person, it certainly appears that the second visitor was giving Ray money to get out of Canada and into Europe. Incredibly, neither the FBI nor the HSCA interviewed the landlords, or tracked down the person who brought the envelope. That was done by the deceased researcher and author Philip Melanson. Emison has written a credible and important volume on the King case. The author did a lot of valuable interviews and digging into the records of the case. It is a book worth having in one’s personal library.